In 2002/03 I completed my Master's degree with a classroom research project. 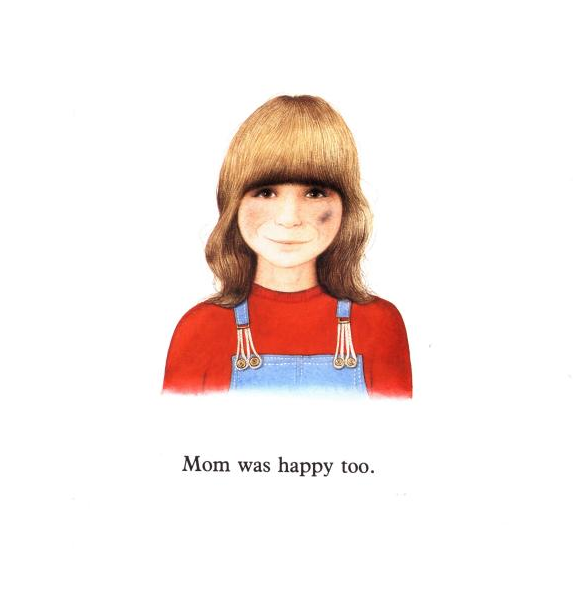 The purpose was to determine whether children in Grades 1 and 2 (with some adult help) could learn to adopt critical perspectives to the books they read. 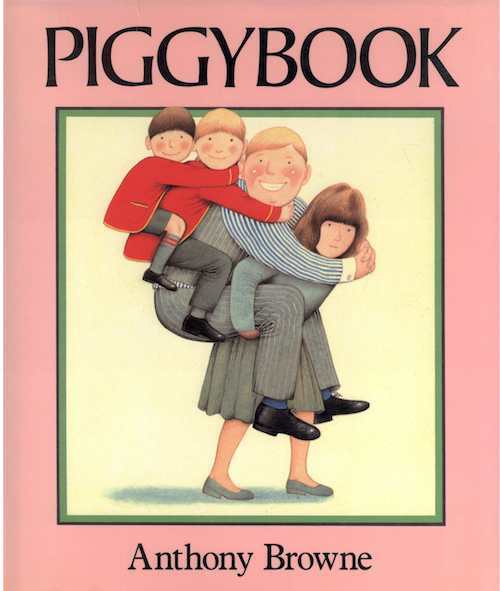 I used a number of books in this study, but my personal favourite was Anthony Browne's Piggybook! 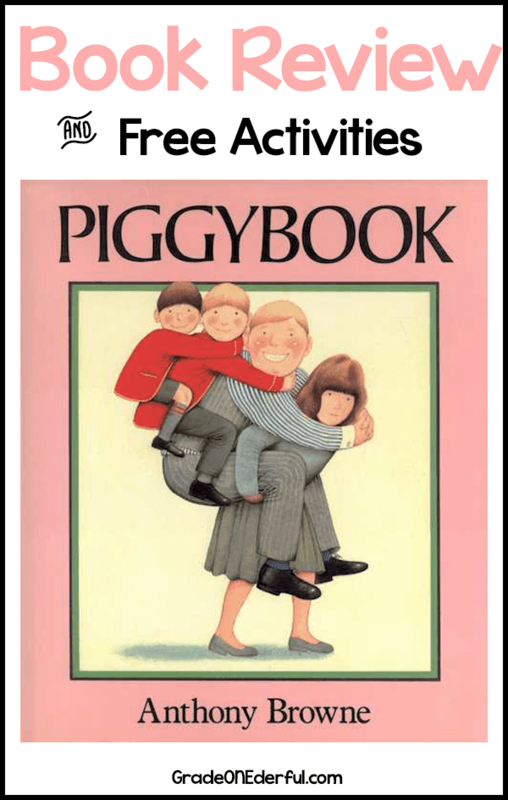 Brief Synopsis (from Bulletin, Center for Children's Books): "Mr. Piggott and his sons are a male chauvinist lot who, outside of yelling for their dinner, don't exercise themselves much around the house. When Mrs. Piggott finally tires of the endless chores that sandwich her workday, she leaves the menfolk on their own, with a note saying, 'You are pigs.' With the cooking and housework untended, they soon turn genuinely porcine, a transformation Browne foreshadows with pig faces on the wallpaper, vases, fireplace, phone. As in most of Browne's art, there is more than a touch of irony and visual humor here. Fun to read aloud." Opening: Mr. Piggott lived with his two sons, Simon and Patrick, in a nice house with a nice garden, and a nice car in the nice garage. Inside the house was his wife. Why I Like This Book: This book is amazing in its ability to encourage children to look critically at family roles (in a mostly humorous -- although somewhat dark -- way). You need to read it to the kids at least 2 or 3 times because there is just so much to notice, both in the illustrations and the words themselves. For example, just look at that great opening! It's all about the husband and boys and possessions. Mrs. Piggott isn't even named! She's just one of the many "things" that belong to Mr. Piggott. At the beginning of the book we don't even see Mrs. Piggott's face. Her hair is always in the way -- she has no identity. After Mrs. Piggott leaves for a few days, the house slowly starts to turn piggy. 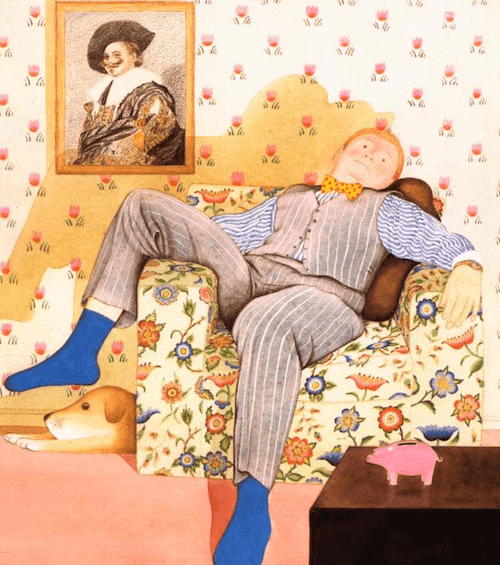 The flowers in the wallpaper change, the portrait becomes a pig, the door handles and light switches all become pig-like, as do the father and sons. Fortunately, mom returns, the chores are divided equally and everyone is happy again. See the smudge on the mom's face? Turns out she loves to tinker with the car! I think it's really important for children to learn from a young age that it takes a team to make a household run smoothly and happily. BTW, both my sons and my husband do most of the cooking :) Me? I like cleaning the house (weird, I know). And our car goes to the garage -- no one knows how to fix it -- ha ha. Links to Resources: This week I am leaving you with suggestions only. This is the kind of book you want to reread and talk, talk, talk about. 1. Read it 2 or 3 times (use the book with your document camera so everyone can really study the illustrations). 2. After several readings, sit in a circle and have a "grand conversation". I start these with, "What do you think the author was trying to tell us? What was his/her big message for us?" It's amazing (with a little practice) how the kids really get into these discussions. 3. Sketch-to-Stretch: After the discussion, everyone goes back to their table and draws/colours/paints what the story meant to them. These can also be shared afterwards. 4. Drama: Give small groups of children a photocopy of one of the illustrations. Have them create a frozen tableau. When everyone is ready, the groups take turns presenting while the rest of the class guesses which part of the book it was from. 5. I'm reading this to my class next week before Mother's Day, just as a fun way to remind them all about the importance of helping out. 6. This book fits in beautifully with the BC Grade 1 Social Studies curriculum on family roles and responsibilities. I LOVE Anthony Browne books, he is my favourite author/illustrator... i get lost in his books for ages! This sounds like an excellent book! Thanks for sharing it. I have this book. It does make for great conversations! I am going to go get this book to read next week. It looks wonderful. Thanks for the ideas! 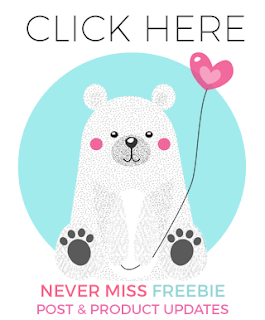 PS Did you notice that your comments on my blog didn't stay? Dee's did. It's weird. Thanks Barb, for always sharing books in such a thoughtful way! Ha, I definitely need to read this one. The girls and I had to "school" the boys in my class about who does more work, moms or dads, just a few weeks ago. They were quite shocked as I listed off all of the things their moms do for them. Men! I am your newest follower! can't wait to read all about your ideas! this sounds perfect so close to Mother's Day. 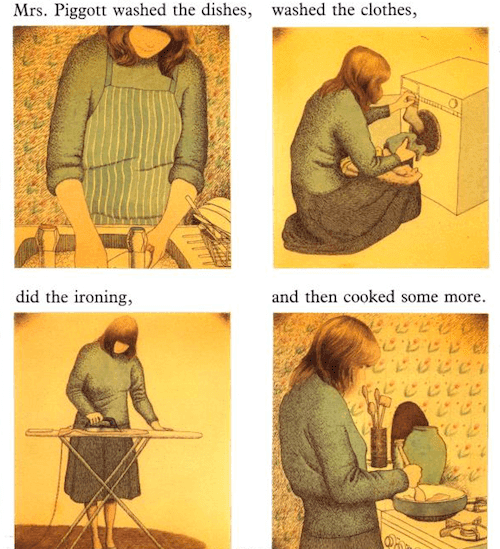 I think I will share this book with my husband who only knows how to help with the dishes. I would love for him to cook! ha ha. This sounds like a really interesting and thought-provoking book. What a great way to get kids thinking about roles and responsibilities, and working together. Thanks so much for sharing!